​You got to love ​Duke fans. They are rabid and devoted to all things Blue Devils, but can passionate to a fault, even excoriating their own stars. ​​Keep in mind, Barrett averaged 22.6 points and 7.6 rebounds per game while earning a First Team All-American selection while leading the team to the Elite 8. Barrett did everything that was expected of him, and then some. 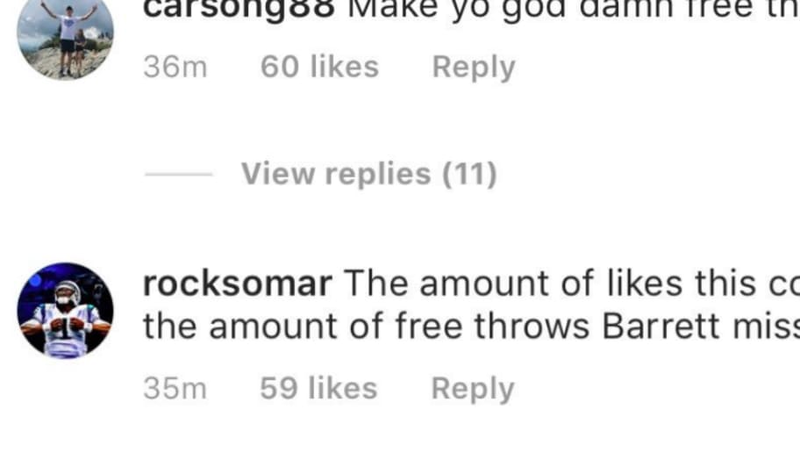 Some missed free throws are worth the online hate? Even when you assert yourself as one of the five best players in the country, that isn't enough to escape the wrath of your own fan base in Durham. ​​Duke fans are impossible to please. When you stink, they rip you. Even when you're great, they find ways to nitpick.